I absolutely loved this book so much! 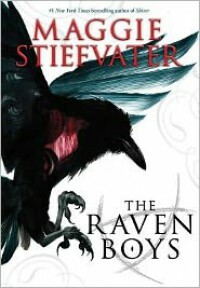 Maggie Stiefvater is an amazing writer and I have loved all her books, and this definitely did not disappoint.Blue joins the Raven Boys, Gansey, Adam, Ronan, and Noah, on their journey to find magic and the impossible (can’t give away what they are searching for…) After ignoring warnings from her surprisingly lenient mother about staying away from Gansey and the other boys, Blue joins their travels and becomes immersed in their life and search.Blue is an interesting girl, to say the least. She lives with her psychic mother and psychic aunts, and although she is not psychic herself, she intensifies her family’s powers. Gansey is amazing! For a boy who has virtually everything money could buy, he still cannot fill some part of him. He is an incredibly complex character and I cannot wait to see more of him in the sequel. Adam is quiet but adorably sweet and stubborn. Boy, I have not met any one more stubborn than him (you’ll see what I mean). He is a scholarship kid, and he hates being around his friend’s money when he has none himself. Ronan is the epitome of misunderstood! He is definitely a bad boy, but he has reason to be. At times, you get a glimpse under the façade he shows the world and it’s wonderful. Noah is so cute and nice! He is always observing and following, but he is a big part of the story that I did not see coming. I also loved most of Blue’s family, Persephone especially, and her mother. They have a wonderful family and they are just so quirky.I love how each of the Raven Boys interact with each other. They definitely have a bond, but they do not always see eye to eye. Blue fit really nicely into their little group, as well. The way Maggie describes each of the wonderful, deep characters is one of the reasons I love the book so much! 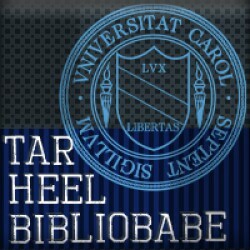 The romance was not such a strong part of the book as I would have liked, but it was definitely hinted at, and I cannot wait until the next book to find out more!Rating: 4.5/5 Tar Heels!See more reviews at www.tarheelbibliobabe.blogspot.com!